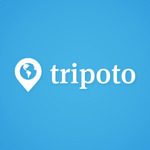 Tripoto is a platform to share and discover real travel stories. Bringing together travellers from around the world since 2014, we help others travel better. We are a couple with a regular 9 to 6 job residing in a metropolitan city with an urge to travel as soon as we sense an opportunity. In FY 18-19, we traveled to 12 different places. This being said, we managed the travels without exhausting our leaves and without burning our savings. Here is a how we accomplished this without our work getting affected by it. This Couple With 9-6 Jobs Took 12 Trips In A Year Without Exhausting Leaves Or Savings! Don't we all have a tiny royal gene in all of us? With a bit of tweezing, the urge to live a royal life comes gushing out. Every visit transports me back in time. This January my husband and I decided to ditch the usual vacation spots and take a trip to my home town, Dibrugarh, Assam and Lower Dibang valley in Arunanhal Pradesh. The fact that it was Magh Bihu time in Assam, a harvest festival celebrated with yummy feasts and merry making with friends and family, added charm to our trip. You know how you see something spectacular and can’t stop thinking about it! This Secret Village In Himachal Is Straight Outta Alice In Wonderland! Do you ever just get fed up of going to the same college every morning with the same set of people to get a degree you don’t know you’ll use? Well, here is Jones, a renowned travel blogger and photographer, who got his Master’s degree while travelling the world! Meet The Nomad Who Got His Master's Degree While Travelling the World! Waiting for you is a list of trails ranging from Walter White and Jesse Pinkman's jaunt through the streets of Albuquerque, to Game of Thrones' phantasmic journey across the islands and palaces of Croatia. The crisp mountain air, the furry mastiff dogs, the fluttering Buddhist flags...every mountain lover just had a nostalgia trip, I'm sure! That is exactly how I felt with Old Manali, until this New Year's trip which exposed me to the ill fate Manali looks to be destined with. Why I'll Never Visit Himachal's Most Popular Hill Station Again! Situated in the Northern India part of Himachal Pradesh, Parvati Valley is often referred to as the “Amsterdam of India”. However, if you want to experience the same vibe without experiencing the crowds then head over to this hilly getaway in Andhra Pradesh which is slowly emerging as a favourite with its offbeat route! Ditch Parvati Valley & Head To This Hilly Paradise In India For The Ultimate High!